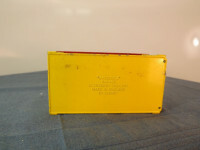 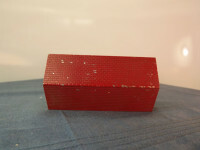 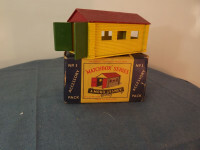 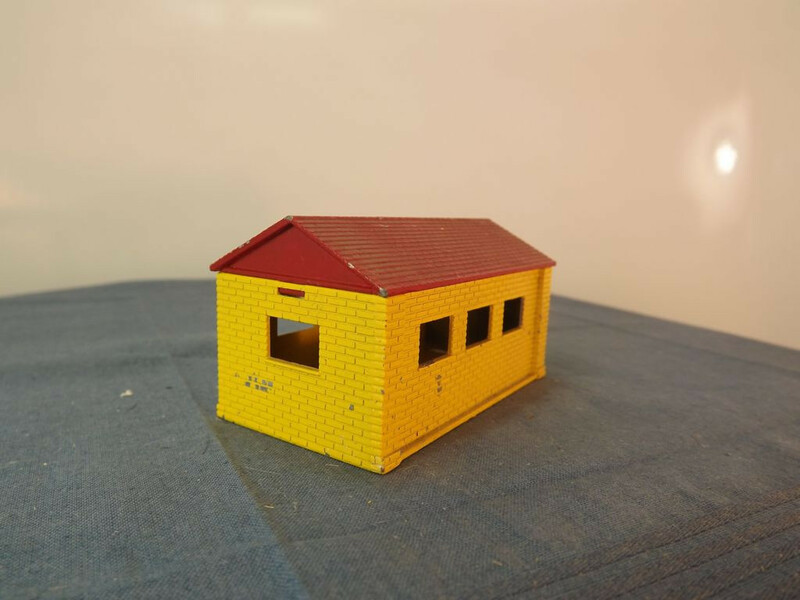 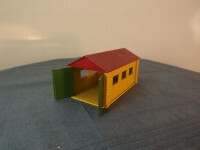 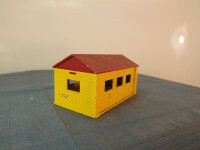 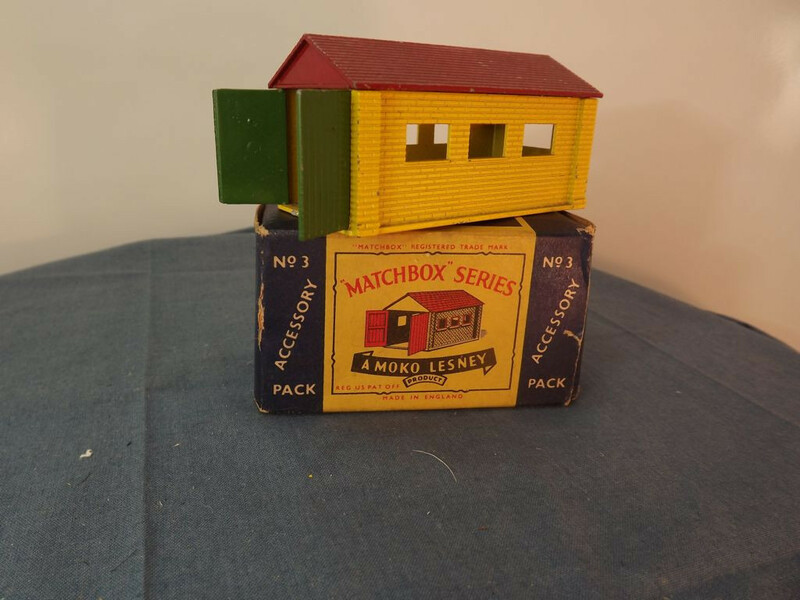 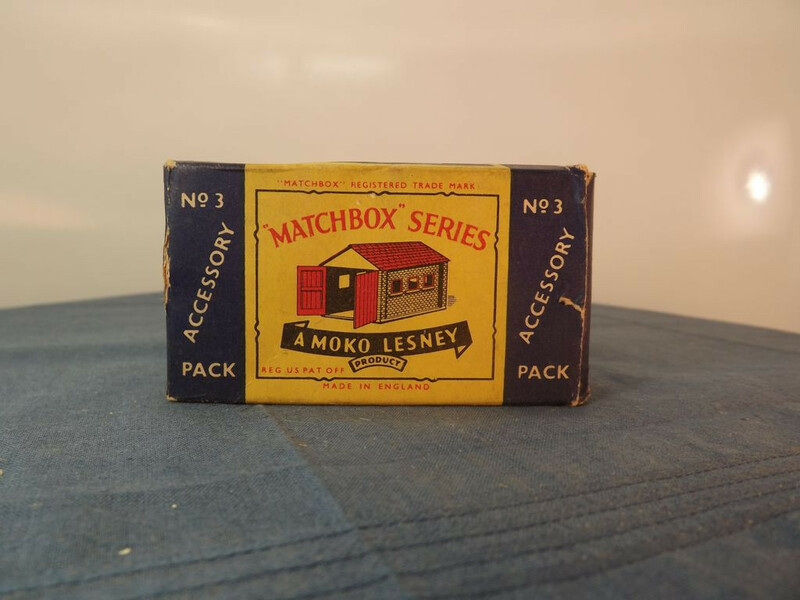 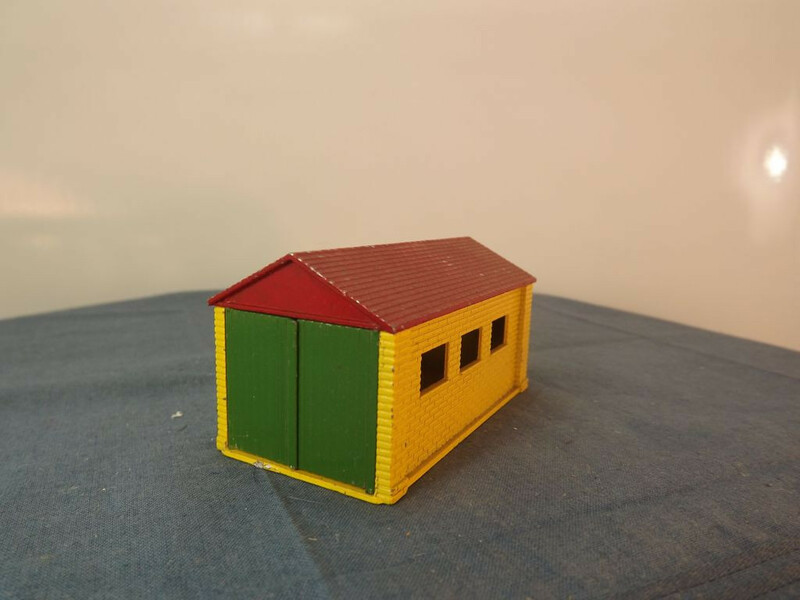 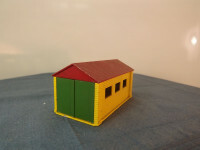 This is the Lesney produced Matchbox A3-a-1 Garage in red and yellow with green doors. 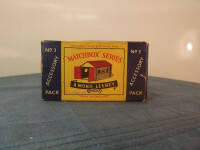 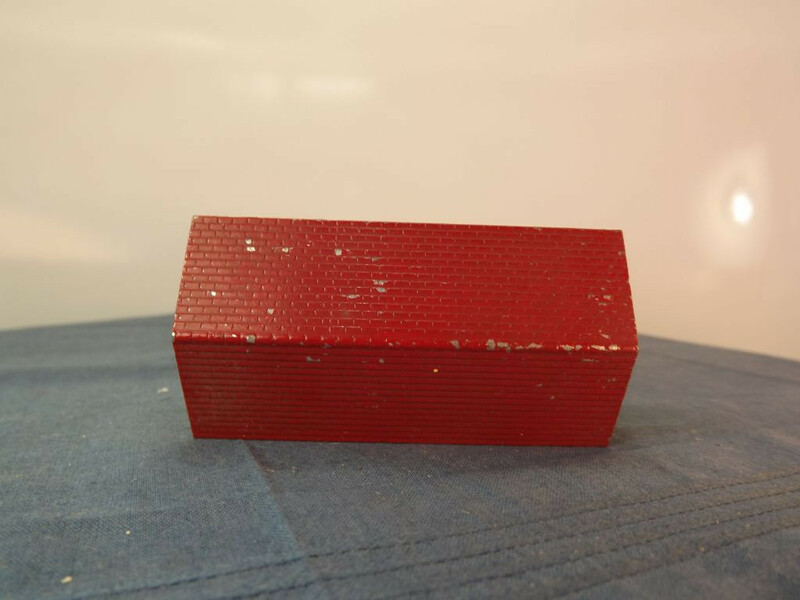 Details: Base has 5 lines of text: "Matchbox", Garage, Accessory Pack No. 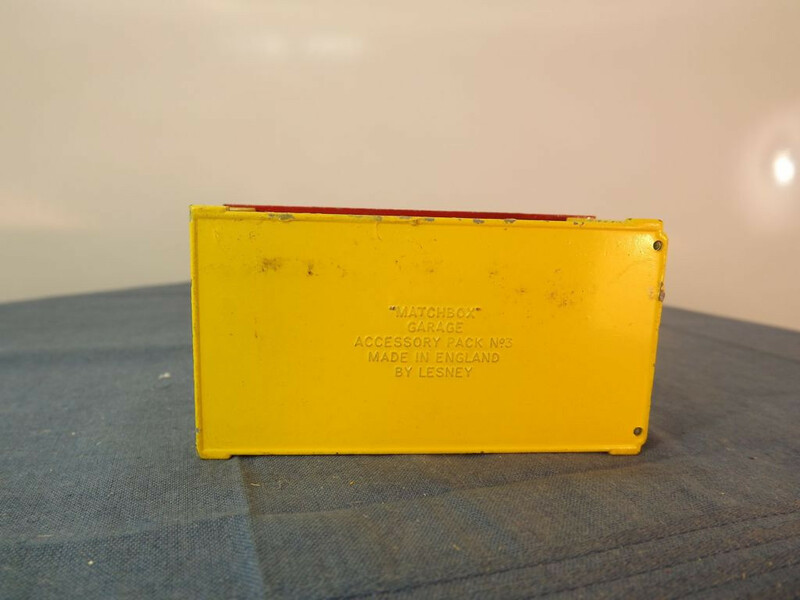 3, Made in England, By Lesney.